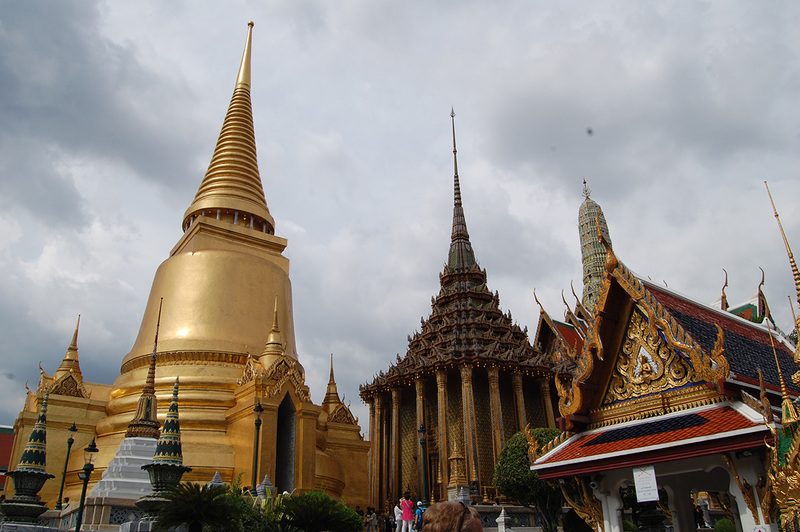 Pay a visit to the most sacred Buddhist temple in Thailand at Temple of the Emerald Buddha (Wat Phra Kaew). Located in the precincts of the Grand Palace, the temple houses an emerald Buddha statue carved from semi-precious green stone and covered in gold--deemed to be the palladium (protective image) of Thailand. The surrounding buildings, sculptural forms, and murals complement the regal and spiritual atmosphere of the room in which the Buddha is kept. Take time to wander the grounds, a great place to get lost in. Our Bangkok online trip builder makes visiting Temple of the Emerald Buddha (Wat Phra Kaew) and other Bangkok attractions simple, and helps you make a travel plan personal to you. The temple is a great place to walk. See the Beauty The atmosphere is beautiful. -Foreigners will be more than a weekday. Just if we got in, between the heat and the procession of tourists coming in, it was a bit overwhelming. Now I think if you go first thing there are not so many people, it is a beautiful temple! Very beautiful place, definitely a must see if you are visiting Bangkok. The entry fee is 500 baht and it's well worth it. When you visit this place if you are a man do not wear flip flops or short pants and if you are a woman do not wear a tank top or shorts. They will not allow you inside. Ruined by rude Chinese tourists. This is an incredibly sacred and beautiful temple. I remember the experience being absolutely awesome the first time here. It was relatively quiet, serene, and peaceful. You could kneel and pray. Now it's a mob of Chinese tourists literally pushing and shoving their way into and through the temple. I feel the worst for the local Thai people. The monk taps the no talking sign, and the Chinese just get louder, the guides blow whistles. They should eject those who are so disrespectful. I would recommend going early AM if you want the original serenity.